I finally pulled the trigger. 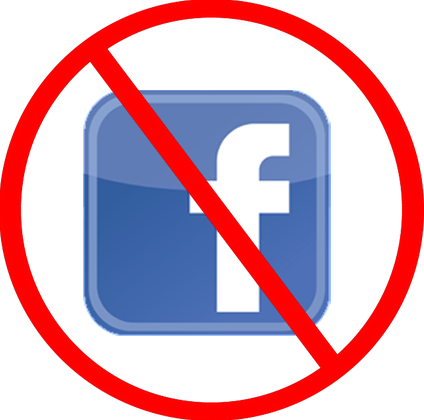 I decided to deactivate my Facebook profile. It is odd to me that this is such an emotional decision. Maybe “emotional” isn’t the right word, but it is almost like severing ties with a close friend or a loved one because the relationship has become dysfunctional, at best, or toxic, at worst. And the fact that I have this love/hate relationship with not only an inanimate object, but also a virtual one is an idea that does not sit well with me. It is all the more reason to move on. There is a great big real world that Facebook can only capture the briefest glimpses of; I want, I need, the whole enchilada. As I posted in my last Facebook post (a virtual “Dear John” letter, of sorts), the platform, while still very useful for probably too many things, has, in its enormity, outlived its usefulness. It is too pervasive, too all-encompassing, too omnipresent, too omnipotent and too omniscient. Sound like god-like qualities? Yes, to me, too. It is just too much. Still, as freeing as this moment is, and as pivotal as the plug-pulling will be this time tomorrow (I did give a one-day notice along with info on how I can be reached outside of Facebook), it is bittersweet. Among my idiosyncrasies, my desire to be connected and know what is going on in the world (a moving target, right now the world is a very big place) has been fed like never before with the dawn of the age of information and its primary agent, the Internet. While I have no intention of removing myself from the information grid, this particular node known as Facebook has gained way too much of the pie. It has increased my tolerance in that what I must now know includes the petty, the ridiculous, the scandalous, the hatful and the inane. To use a recent Facebook viral colloquialism, “Ain’t nobody got time for that!” Furthermore, I find myself constantly condensing my thoughts on very involved and complicated subjects into tiny little Facebook bite-sized chunks. I am already past the Facebook “read limit” (about 100 words, give or take) in this blog post. But there is so much more. I have fallen into perceptual errors on more than one occasion – instances where the “reality” depicted on Facebook was nowhere close to reality. I have run into instances where I have seen sides of people – masked by the quasi-anonymity of distance mediated by the Internet – that I did not know, might not be real and I do not want to know. It might not be any coincidence that the polarization we see at a national – even a world wide – level is due, in part, to the removal of cordiality, decorum and respect that is necessarily part of face-to-face communication. Overall, I am drowning in the vastness of “too much.” Too much everything, all the time, all at once. I have had this Facebook account since 2006, but never really started using it until about a year later. In that time, I have witnessed the medium explode. It is wondrous, it really is. But it is also too much. The novelty was bound to wear off. Nothing lasts forever – Facebook won’t, either. For me, it has run its course. Sayonara, Facebook.